Your brand culture starts with a purpose; one that shapes your identity and can burn like wildfire through the workplace if you fan the flame. And you want to, because when your team is fired up they'll help you build positive user experiences and ignite a conversation in society, making an impact. 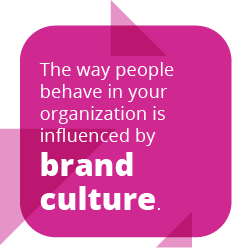 Brand Culture is the system of beliefs, values, experiences, and material traits of a company, shared between employees and society. ‍Why is brand culture important? A strong brand culture creates a community of micro-influencers that rally around your shared views and promote your products. If your brand culture is attractive to employees, prospects, and consumers they will want to join in the culture and express these values to the world. Do people really want to be part of a brand culture? YES! A great brand culture makes things more exciting for everyone, beginning with employees. People want to be a part of something worthwhile and connect around a set of beliefs and shared interests. It is human nature and it is this dynamic which creates the opportunity to develop a hook, be relevant, and connect around topics people care about. It doesn't matter whether you are a start-up or a large organization - accomplishing something for a group of people will absolutely help you stand out, 100%. 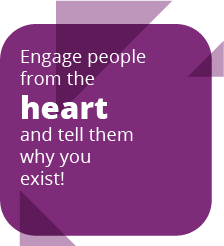 With some effort, you can evangelize a tribe around your shared purpose and experiences, creating brand ambassadors, starting with employees and extending to the world. There are four main components to building a brand culture, each involving a series of actions. Craft your value proposition, mission, beliefs, and persona so that every solution you provide has your brand values at its core. Brands are always fighting for space in people’s minds. Think, what is your favorite brand? Whatever thought came to you, this impression was influenced by the sum of the company’s attributes and your perceptions about them. A brand is not formed through a single quality, such as the logo. It is a series of elements that shape brand recall, which we explore in depth in How to Create a Brand. For this conversation, suffice it to say that, if you take a holistic approach it will ensure that every execution you bring to the table, no matter what its specific focus, has the underlying goal of strengthening your brand. It means, that if you sit down and plan how everything comes together it will be easier to connect with your customers and have them buy your products. and experiences. all within the context of your commitment to a common purpose. So, create a detailed brand identity that defines who you are and what you are doing. People love a good story, so don't hold back. Craft your value proposition, mission, beliefs, and persona. Then hire people that are a good fit. Sit down and plan your brand with a 360 degree view. You'll be glad you did. People often jump right into "branding" without expressing the core message succinctly. Design follows messaging, so don't skip that crucial step. More often than not, I see Brand Guidelines with only a logo, fonts, color palette - and that's it. But, to be a success, you need so much more. Make sure to memorialize your purpose, mission statement, image selection criteria, voice, and tone. Because, when all of the dots are connected, people are more likely to buy into your story. If your logo is bright and cheery, but your font is Times New Roman, that can be a problem. If you want to highlight your team culture, but use stock photos, people will know they are stock and you'll lose credibility. If you don't explain the how or the why, customers will go to a competitor that steals their heart. People buy emotionally, so express something that matters to you and others will come. Cultural innovation has hit the boardroom, expanding the environment for branding to your workforce. So, how can you create a high-performance culture and one where people love to work at the same time? "People don’t quit jobs," the saying goes, "they quit bosses." Being a great leader is about providing your vision, serving others, offering encouragement, and solving problems. You know this. I know this! Sometimes, though, we let our ego ( or stress) get in the way. 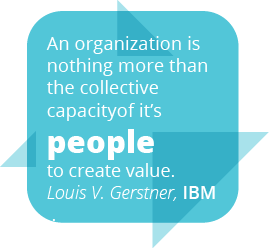 That's why it can really pay off to develop the discipline and structure to empower employees. In my own work, constructive feedback is a daily tool. If I spill a remark, “I don’t like this”, it diminishes creative capacity. But, if I contribute, “what if we changed this?”, it opens dialogue and provides guidance which elicits action and results in higher-quality production. Amazing things happen when you create a climate where people can share ideas, make decisions, enjoy themselves and engage. Investing in a a strong management culture is where it starts. And, good bosses are a magnet for good talent. When employees are well-suited to what they are doing, having fun, and are empowered with the freedom to make decisions, they are more productive. That it why you want your employees to be raving fans and have a series of positive interactions with your company, from the office environment to their benefits package, and how you make them feel. Find what is right for your team based on where you are in the growth curve. Sometimes, it's the smallest gesture that can change everyone's attitude, such as a shout-out of appreciation on social media with mentions. People want to feel appreciated and recognized for their accomplishments, I know I do, so perhaps you have a protocol to routinely celebrate individual and team victories. Some companies organize team-building events that help people work together effectively and have fun. Others have a set day of the month to order lunch in for the team. Many ,create an education room, game area, or VR station where people can take a moment to play and then return to work recharged. Companies are in control of which experiences are the right fit for their brand. So don't feel like you have to offer unlimited time off. I mean, that IS a pretty sweet perk, but not all companies are structured to deliver it! When hiring managers are equipped with a compelling culture, it is then reinforced through its ability to attract quality candidates that share your vision. The stronger you brand identity and culture, the easier it is to hire. It's all connected. When employees are healthy and happy they are more productive. Today, wellness programs are an integral part of company culture. The fact that a huge company like Virgin built an affiliate company around corporate wellness initiatives is a testament to the importance of health and wellness in the workplace. VirginPulse says, "Health and productivity; they go hand-in-hand". Companies around the globe are taking note and so should you. Incorporating a wellbeing program can invigorate your workforce, reduce absences, and attract talent. The evidence is compelling. Here in the Seattle area, Travelers Health and Wellness is offering corporate wellness programs to help people in the workforce and on-the-go sustain a positive mindset and maintain a top performance state. And others are spring up through the nation. When you empower your employees to take ownership over products and services - that sparks innovations, drives transformation, and leads to happier customers. That's why it's beneficial to cultivate the time, space, and resources for your team to grow. Keeping your employees challenged, motivated and engaged through leadership programs, onsite training, job-related conferences, and seminars will lead to more committed and capable leaders in the future. And if you're seeking to retain and attract top talent, make sure to tout your professional development and upward mobility initiatives. There is no doubt that individuals want to be part of a positive and hardworking team with opportunity to advance. Consider the needs of the people who will be using the product and place the user at the center of the process. Customers equate brands to experiences and values, so talk about what you believe and you will attract those that believe what you do. Acceptance of an idea starts with the initial adopters that view the world the same way you do. The second phase of adopters climb on board because others do. In other words, if you communicate directly with people's belief systems you can connect with people that share your interests and want to buy your products. Operate like a world view that you absolutely believe in and act in accordance. Every advertisement, website, internal policy, interface, and interaction must be congruent with your brand. With a little research you can understand your client's needs and then highlight the features of your solution that can address them, attracting the right prospects for your business. It's no secret that users want speed and simplicity, so you can make an impression with one-click shopping and real-time updates. Navigation that results in a long and frustrating buying process kills your brand. A good sales funnel build around the buying journey is key. What happens after the buying stage really cements the relationship. Just think. when was the last time you had a great post-sale experience? Then, think about a bad one? How you treat customers when there is a problem make a world of difference Everything from how easy you make it for a client to get in touch with you to providing an unexpected nicety after-the sales works to raise the bar and improve the customer experience. Recently. I bought a Flamingo razor and had a great experience. I opened the package to get thoughtful note inside! It's clear that they want to change the dialogue around shaving. Consumers are looking to your organization to create change and impart social good. These days, customers have a choice to buy from the brands that are driving the change they want to see in the world. Thus, more and more, brands are drawing up social good strategies as part of a consumer-facing strategy. Smart companies are building products and services that tackle global challenges, including sustainability. In fact, current social and political issues are being used to inform advertising decisions. It's all coming full circle, as brands are getting involved in causes they care about..and it must be authentic. If it's not, don't do it. Customers are savvy and know if you're jumping on the bandwagon just to drive sales. When Pepsi jumped on a social issue that came across clunky and disingenuous tt backfired. It's obviously a risky strategy if you don't get the message right. 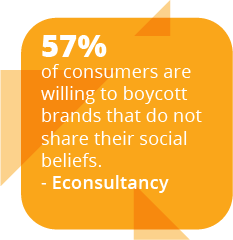 Then again, with "57% of consumers said to be willing to boycott brands who do not a their social beliefs" – brands are willing to take the risk. Every company faces decisions about whether to prioritize social good over profit, or introduce a way for the two to co-exist, so when an organization can successfully incorporate social good into their business it is rewarded. Sustainable investing is a 20 trillion market So companies are focusing on ethical products in a circular economy. As the old business model paradigm is changing, businesses are increasingly developing products adding sustainability to the mix linking corporate social responsibility and sustainable innovation. Modern consumers care about where their products come from and how they are made. To meet customer demand, corporations are investing in innovation to reduce the carbon footprint, fight disease, and promote diversity. Leading companies are taking a stand on global issues, promoting employees online, sharing provocative thought leadership, and developing inclusive workforces. It is no wonder that T-Mobile is on Fortune's list of the 100 Best Places To Work for 2019. T-Mobile accepts you for who you are, so that's cool. Inclusivity all the way. Thanks T-Mobile. 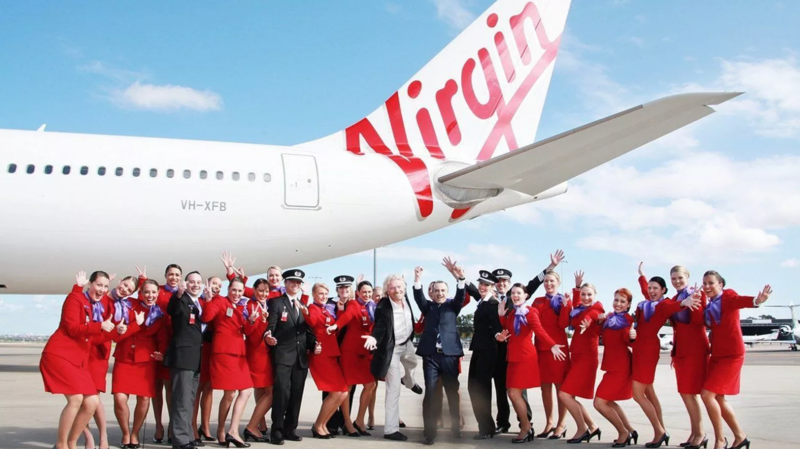 Virgin describes itself as a “family” that is united around around a belief system and values. Branson has created an environment that promotes strong relations, responsibility, and fun. This culture attracts talented, ambitious people that convene around social activities, company sponsored trips, and parties to deliver high performance. REI owned its core values and impacted consumers across over 30 states. 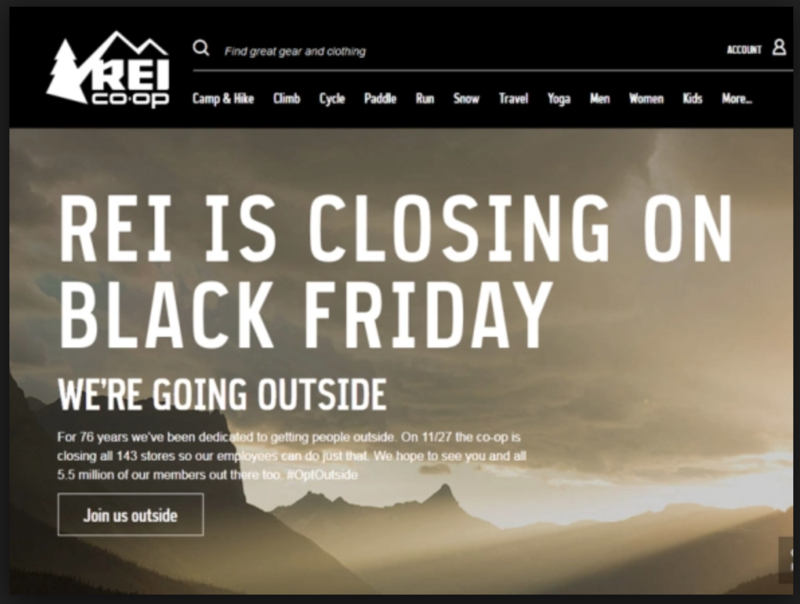 Closing 143 stores on the biggest shopping day of the year, REI took a stand on consumerism. The result, happier employees and engagement. Social media impressions skyrocketed by 7,000%, with 2.7 billion media impressions in 24 hours. Hell yess. Branding is often complex, especially in big companies due to the increased bureaucracy around brand guidelines. To scale, companies need to have procedures. This often makes it difficult to implement social media sharing and build micro-events because the initiative needs approval from corporate. The struggle for approval is real, but I've found that templates can be made for social posts where content can be dropped into an on-brand formula. And if brand guidelines are detailed, yet flexible. you get your division's landing page up for an event and promote it online. Branding is a journey. Have fun with it!